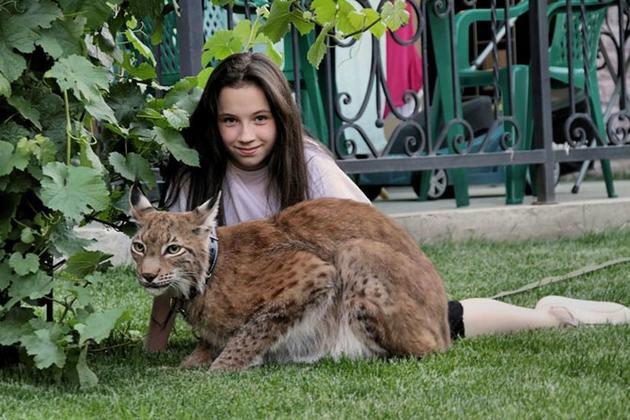 Pavel and Svetlana from Kaluga, Russia recently adopted a small Eurasian Lynx, Zen, who became an instant member of the family. 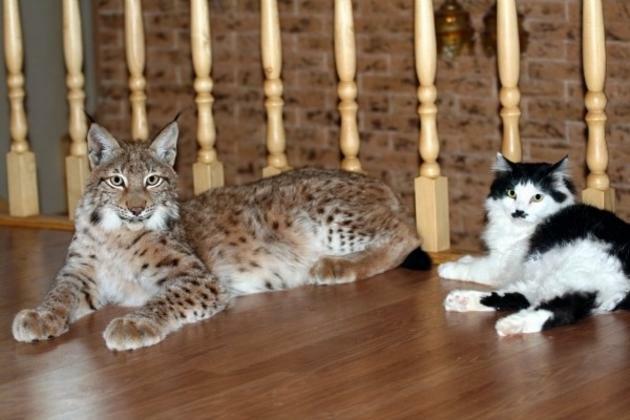 The owners say it behaves like an ordinary cat and even sleeps with them in the same bed. 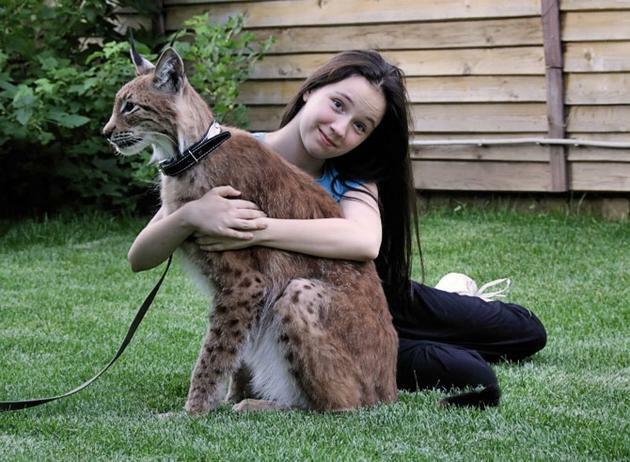 The owners have always wanted a pet Lynx, and when an orphan came up for adoption at the local zoo they made the adoption go through. The owners had 4 Kurilian Bobtails (a rarer version of the house cat) before they aquired the Zen. 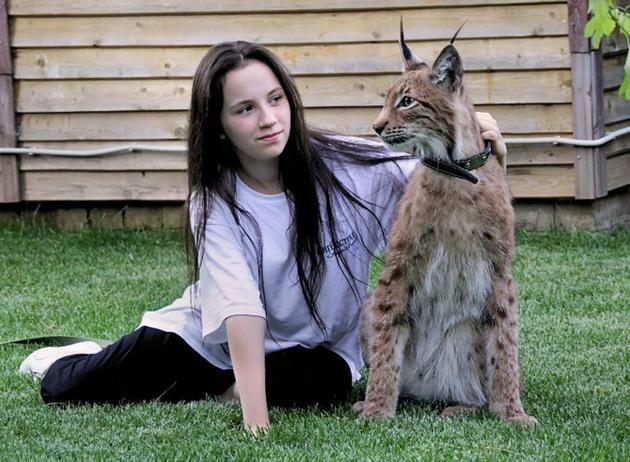 The cats took the Lynx as one of their own and took care of it while it was small. 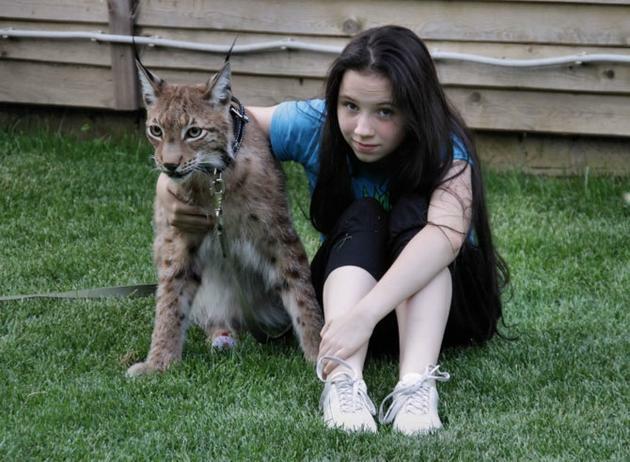 The Lynx still treats the bobtails like they are family (even-though he is double the size). 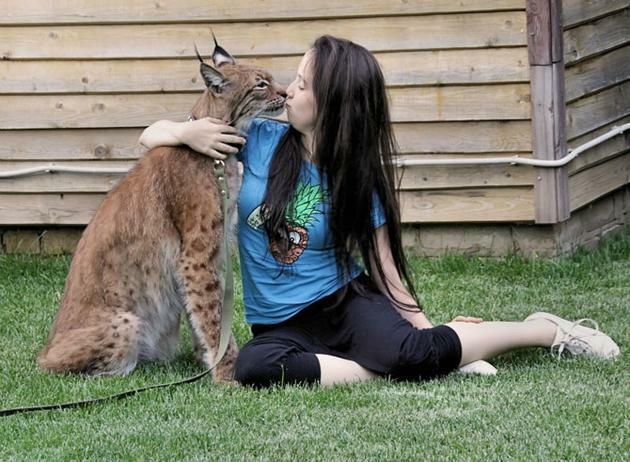 The Lynx has been very simply an ordinary cat, but has the ability to obey orders like a dog. 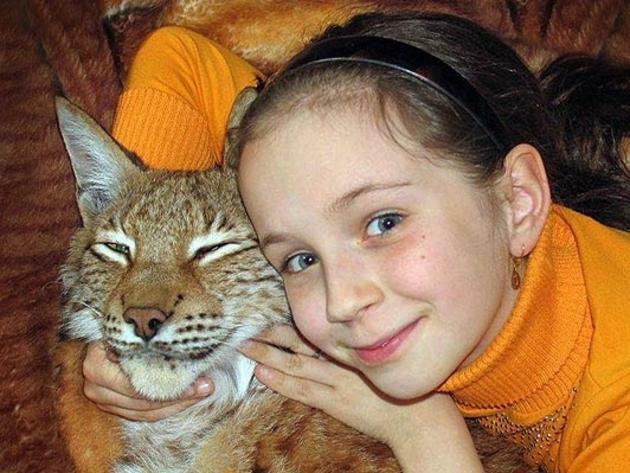 Sophia, 11, the daughter of Pavel and Svetlana is inseparable from the Lynx. 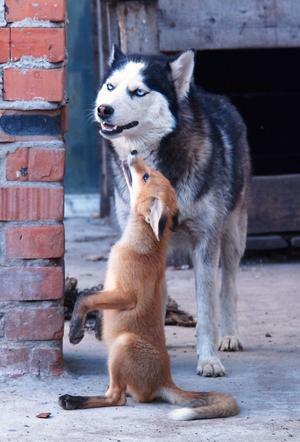 They are best friends and take care of each other. This post has been viewed 25,489 times. Very interesting relationship between a man and his large collection of (very diverse) pets that he breeds. This man is from Russia - he breeds bears, foxes, bobcats and wolves (just to name a few). – Jean-Paul Sartre, a French existentialist philosopher, playwright, novelist, screenwriter, political activist, biographer, and literary critic.